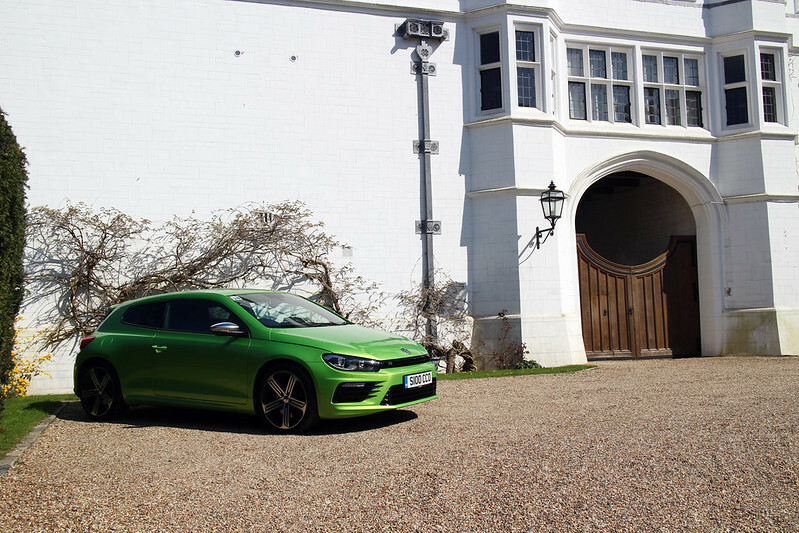 It’s not often I get to drive a lot of nice cars in one day but that’s exactly what happened when I headed to the beautiful setting of Danesfield House in Buckinghamshire to test a whole range of Volkswagen cars. Most of these vehicles will be getting their own reviews but before I get stuck in, I wanted to do some basic coverage of the day. I knew without a doubt that I wanted to drive the Scirocco R and there were a few I eyed up as I parked my car. I picked up the key for a lime green 2.0l petrol version and felt giddy with excitement. 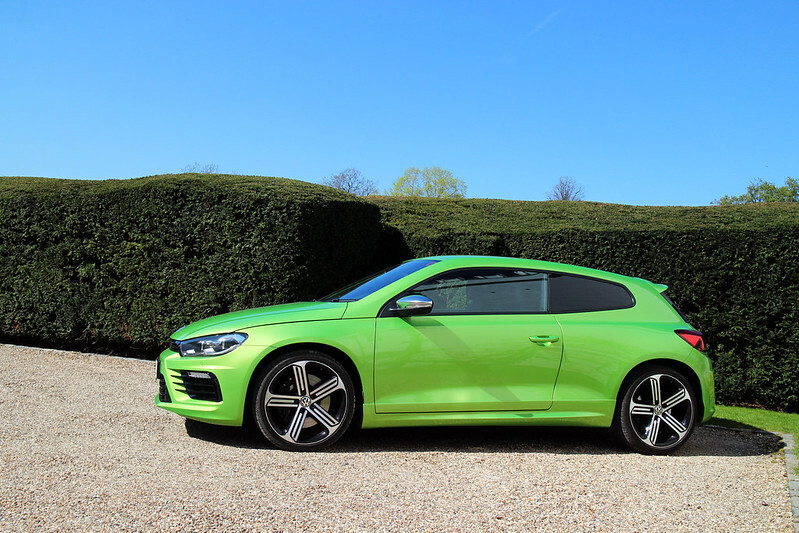 I’ve driven the 2.0l diesel Scirocco and while I enjoyed it, I knew a big petrol engine would be more my style. Not knowing where I was or where I was going, I took random turn after random turn down narrow, steep roads through the Chilterns. To begin with, there was absolutely no chance of testing the car’s handling or acceleration. I was limited crawling along, ready to pass cars at the dedicated passing places. Then the trees dropped away and I could see a whole stretch of long, straight, narrow road. It was like going to warp speed. The hedgerows rushed passed and my toes began to tingle, I was hooked. I also got a chance to see how the green beast handled on the drive back to Danesfield, you barely feel the speed and it’s easy to put all your trust in sticking to the road because you just do. After a bite to eat and a bit of recovery time (toes still tingling), I took the Polo GTI out for an extended test drive, the 20 or so miles to see Rebecca Racer to drop something off. This was a nice combination of fast motorway driving and windy country roads. 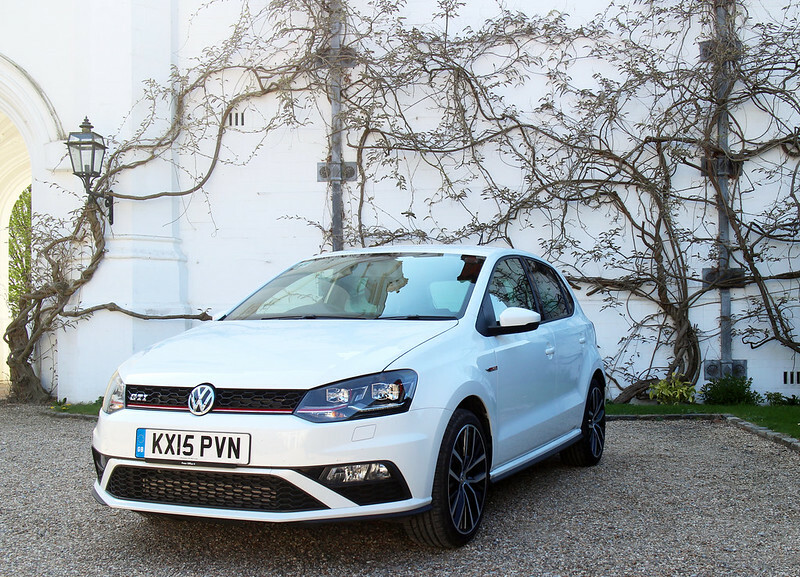 The Polo GTI lacks the refinement of the Scirocco but it’s really quick and a lot of fun. I think having been driven by so many different people over two days had taken it’s toll though because the feedback through the steering wheel was unpleasant. It vibrated so much that it felt like my hands were stinging. My technical knowledge of cars is limited so I can only guess that the wheels had been knocked or there was an imbalance somewhere. 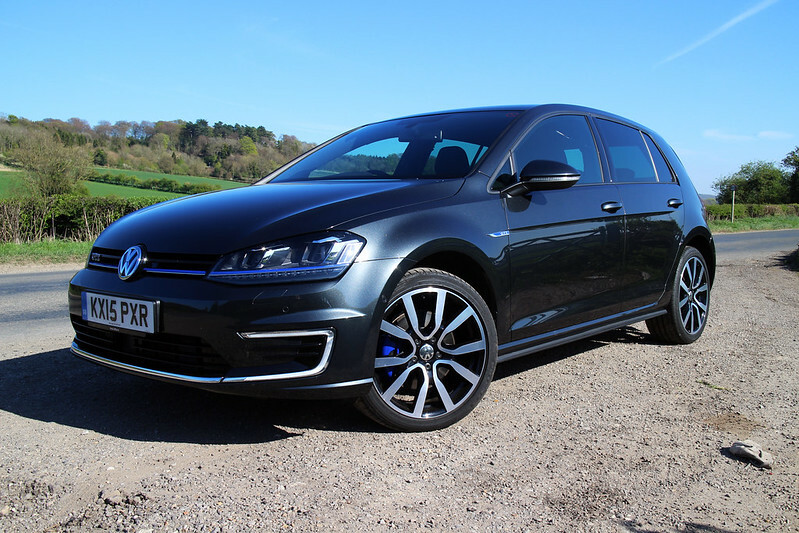 Finally, I took out the star of the show, the Golf GTE. This is a hybrid that really took some getting used to. I’ll admit, I had to read the instructions before I even switched the car on. 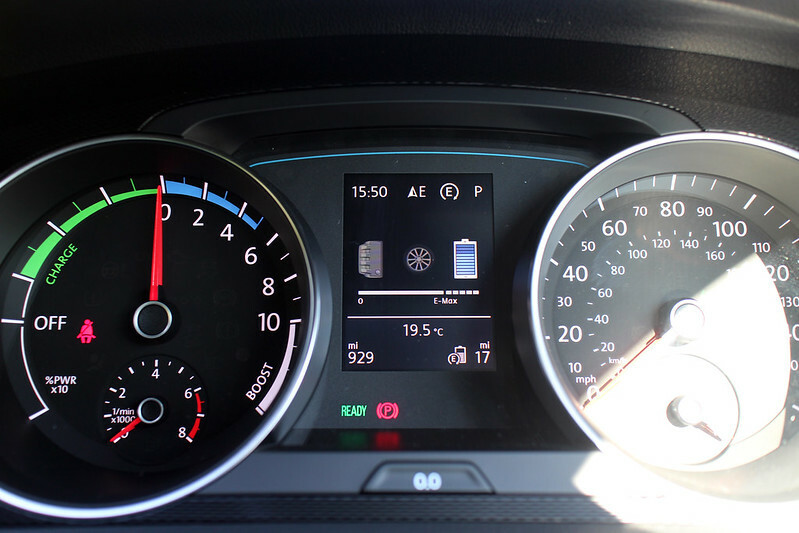 I eventually pulled away silently in automatic mode, letting the car use it’s electric motor to get me to the main road. I fiddled around with the settings but soon realised GTE mode was the way forward for my driving style. This uses the electric motor and petrol engine to provide the best performance. It’s a fun car that handles well but I think I’d need to drive it for more than half an hour to get a real feel for it. Watch this space for more Volkswagen reviews!